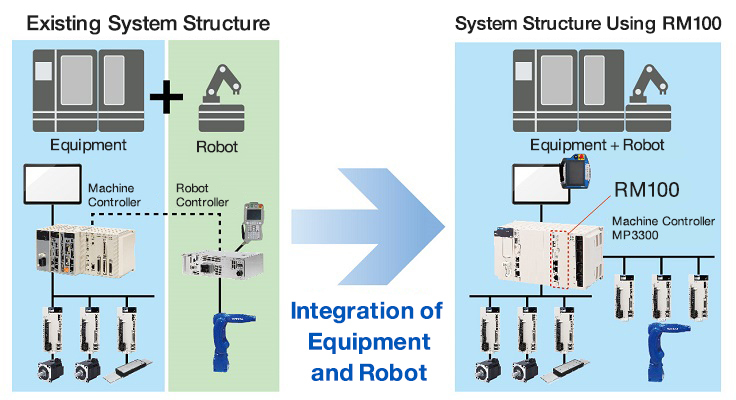 Yaskawa Electric Corporation (head office: Kitakyushu, Fukuoka; Representative Director and President: Hiroshi Ogasawara) begins sales of robot module “RM100”, a new hardware solution that can access industrial robots through machine controller, utilizing one of the best servo drives as well as the robot controlling technologies in the world. The company has been providing digital solutions with its new solution concept “i3-Mechatronics” to “realize revolutionary industrial automation”, set in the company’s long-term business plan “Vision 2025”. 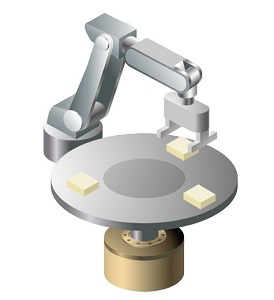 By embedding board-shaped robot module “RM100” in the body of “MP3300”, one of the machine controller “MP3000 series” that receives a favorable reputation, this solution realizes integrated control across various industrial machines where articulated industrial robots are installed. The solution configures articulated industrial robots as a part of various industrial machines that use machine controller, and establishes optimal and efficient automation lines in our customers’ production facilities. With the synchronized control of industrial machines and robots, which used to be controlled by machine controllers and robot controllers respectively, the solution eliminates the need for mutual monitoring performed on I/O level. It makes process integration and speed changing in production much easier, and allows flexible equipment building to address a fluctuation in production volume as well as a wide range of products. Since machine controller MP3300 is connected to RM100 through high-speed system bus, users can synchronize two programs using the control cycle of MP3300. In result, industrial machines and robots behaves in more accurate and coordinated movement to improve the tact time. Yaskawa developed a new configuration tool RM-Config that sets and tunes structural parameters. 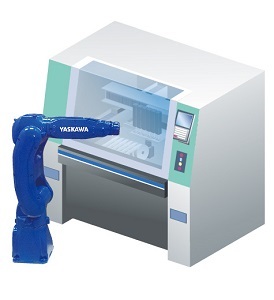 This tool enables users to control not only the robots manufactured by Yaskawa but also the robots developed by users*. *The tool can support only six-axis vertical articulated robots at the start of sales. By controlling industrial machines and robots altogether, the solution allows to manage the data of various equipment in a unified manner. It also visualizes the system as a whole, makes it easier to troubleshoot, perform preventive maintenance and capture operation status, and contributes to improve maintainability. *Ethernet is a trademark of Fuji Xerox Co., Ltd. It is available from August 31, 2018 in Japan. For other region, please contact regional sales office.